Happy birthday Gloria Whelan (Homeless Bird). It’s the birth date of Boris Karloff (1887–1969), known for his monster portrayal in the movie Frankenstein, and narrator of recorded versions of The Three Little Pigs and Just So Stories. Writing about freedom of speech and expression, John Milton publishes Aeropagitica, decrying censorship, in 1644. Read Nothing But the Truth by Avi. The first jukebox makes its debut in San Francisco’s Palais Royale Saloon in 1889. Read The Jukebox Man by Jacqueline Ogburn. It’s Eat a Cranberry Day, perhaps to practice for Thanksgiving. Read Cranberry Thanksgiving by Wende and Harry Devlin. Today we celebrate the ninety-fifth birthday of an incredible artist, Marc Simont, who in seven decades has illustrated more than one hundred books for children. Born in Paris to parents from the Catalonian region of Spain, Simont lived in France, Spain, and the United States during his childhood. Very much like Jean Fritz, our other ninety-fifth birthday celebrant this month, Simont found that his skills of observation were sharpened by encountering different places and cultures during his childhood. Simont admits to being an indifferent student—as a true visual artist he spent more time focusing on how his teachers looked than on what they actually said. Never finishing high school, he still studied at the Académie Julian in Paris and the National Academy of Design in New York. In the end, however, Simont’s father, a career illustrator, turned out to be his most important artistic mentor. In 1939, seventy-one years ago, Simont illustrated his first book for children, a collection of Scandinavian fairy tales. During the early 1940s he roomed in New York’s Greenwich Village with another emerging talent, Robert McCloskey, who would win the Caldecott Medal for Make Way For Ducklings in early 1942. Simont did not bring home his own medal until 1956 for Janice May Udry’s A Tree Is Nice. During the ’40s and ’50s Simont’s expressive watercolors, with luxuriant hues and loose black lines, graced the work of many of the important writers of his day—Margaret Wise Brown, Charlotte Zolotow, Jean Fritz, David McCord, and Ruth Krauss to name only a few. He created a very beguiling Nate the Great for author Marjorie Sharmat. 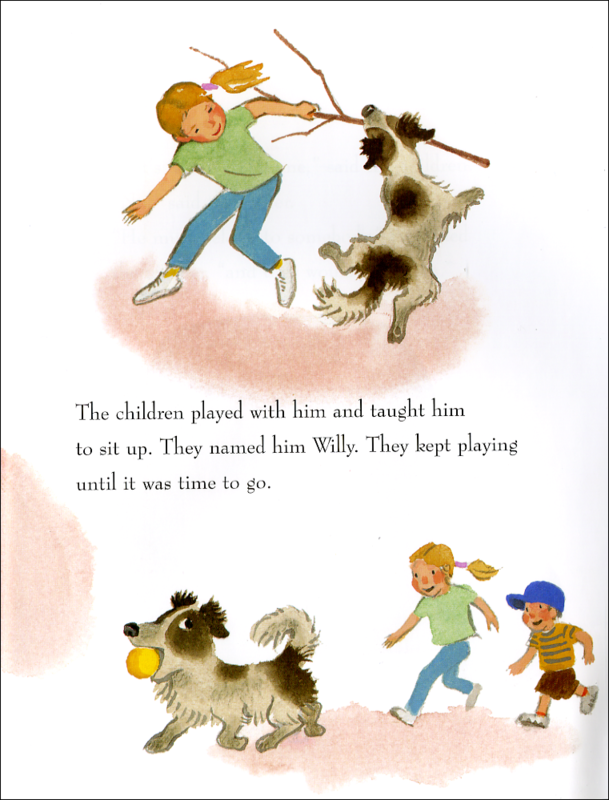 After illustrating The Thirteen Clocks and The Wonderful O for James Thurber, in the 1990s Simont delivered a rendition of Many Moons that was much more lively and exciting than Louis Slobodkin’s original. In his eighties, Simont demonstrated that some people don’t just get older, they get better. 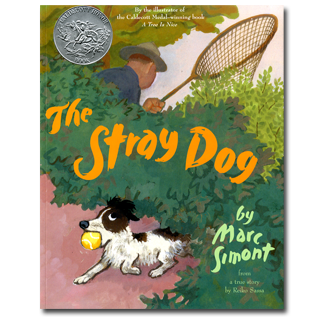 Stray Dog, published in 2002, won a Caldecott Honor and contains some of his best artwork to date. Simont’s people—and dogs, I am happy to say—exude life and liveliness. As much as he pleased adults with his work, he always remained true to his child audience, pulling them into stories and entertaining them with his art. He knows how to keep children laughing, as he did in Karla Kuskin’s The Philharmonic Gets Dressed. He has kept faith with children—and those who love children’s books—for all of these seventy-one years. Happy ninety-fifth, Marc. Thank you for your amazing books. Originally posted November 23, 2010. Updated for . Amazing story, especially the part about his working for so long. The illustrations for Stray Dog are so youthful. I’m curious how or why he got to the States. Happy Birthday to one of my favorite illustrators! I really enjoyed reading this entry today.